Texting while driving is about as stupid a thing as a driver can do. Do NOT for one minute think you won't have a wreck. It's not a matter of is it going to happen its a matter of when. Statistically, distracted driving is overtaking drunk driving. Is the last thing on this earth you leave behind is a text LOL. AT 55 MPH YOUR VEHICLE TRAVELS THE LENGTH OF A FOOTBALL FIELD IN ABOUT A SECOND. THE TIME IT TAKES TO LOOK DOWN TEXT AND LOOK UP. YOU'VE TRAVELED THE DISTANCE OF A FOOTBALL FIELD! Don't Text and Drive ! You probably by now realize that I am pretty passionate about this issue. 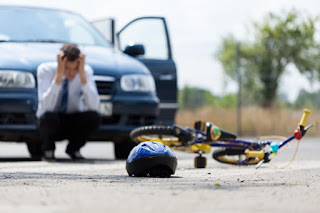 A couple members of my family have been involved with drivers who were texting and hit them. Thank God they were minor accidents without significant injury. One lady was texting with her toddler in the back seat and rear-ended our car. It only takes a moment for tragedy to strike. Sadly too many drivers think they can text and drive. "They got this." Parents if you text and drive in front of your teenage driver's shame on you. This is a bad habit for a young driver to pick-up. Make sure that you don't set a bad example for younger drivers. Hand the phone to someone in the car and tell them to respond back if it's that important. Tell your kids text your Mom back and tell her were on the way. It's that simple. Later model vehicles like my Chevrolet Truck have the ability for me to talk and text. This allows me not to take my eyes off the road or handle my phone. I can do everything voice commands. Great system! If you have to be on the phone, use Bluetooth enabled hands-free systems . The safest policy, stay off the phone in the car period. Keeping children safe in the car. Sadly, the news is reporting too many children left in car seats in the car. With one news organization saying to put your purse or cell phone next to your child. If that’s what it takes, then do it! However, what does that say to us as parents that we must leave something next to our child, so we don’t forget them? What does it tell you that you would have to do anything like that? These questions should alarm you! The bigger question is how parents have let life overtake the care of a child? That seemingly your cell phone is more important than your child because you need to leave it next to them, so you don’t forget your son or daughter in the car seat. Wow! How about we as parents get present in the moment. That for the brief time we’re in the car we take time to drive carefully but be present at the moment with our child. Share a moment with your child. So, you want to convince yourself that you’re to busy for the 15 or 20 minutes in the car that you can’t talk to your child (infants are the exception). It’s so easy to get caught up in our own lives. When we get into a car that is a responsibility especially when carrying precious cargo. Do whatever you have to do to be present at that moment in time. Put your purse, your cell phone, your laptop, whatever you have to do to remember your child. Ask yourself one thing; is my stuff more important than my child? Talk to your child, sing to your child, play games in the car with your child. Those times you will remember for the rest of your life. Don’t let the memory be devastated by tragedy. Make the time in the car about your child, not about the life around you. If you can’t give that gift to your children, ask yourself why. Get off the cell phone in the car. If you're texting in the car shame on you. At 55 MPH distracted for only 3 seconds, you will travel the distance of a football field. The call can wait! Distracted driving can cause tragedy for a simple text message. If you think you can't wait to send a text pull over and post it. We all need to slow down. The newest addition to the DOMINATOR racing line is specially formulated for performance-modified diesel engines. New AMSOIL DOMINATOR® 20W-50 Competition Diesel Oil (DCO) is engineered for modified, competition diesel engines and the high-horsepower demands of sled pulling, dyno runs and drag racing. Fortified with 50 percent better resistance to oil breakdown* to withstand high cylinder pressures, and jacked with extra zinc and phosphorus for bulletproof wear protection, DOMINATOR Competition Diesel Oil provides professionals and enthusiasts with the power, protection, and confidence needed to win. Signature Series 15W-40 Max-Duty Synthetic Diesel Oil (DME) is designed for on-road daily-driving diesel and modified diesel trucks. DOMINATOR 20W-50 Competition Diesel Oil (DCO) is designed for high-performance, competition diesel trucks. It is also well-suited for diesel engines operating on the road. DOMINATOR 15W-50 Synthetic Racing Oil (RD50) is our best all-around racing oil designed for high-performance and high-horsepower engines that burn gasoline, alcohol, diesel, and methanol. It is not designed to be used for on-road daily driving. If you love taking amazing photographs you will love this camera. 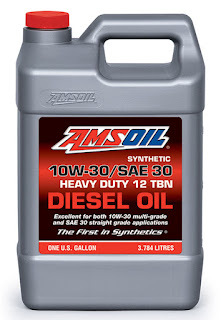 AMSOIL 10W-30/SAE 30 Synthetic Heavy Duty Diesel Oil is formulated with premium synthetic base oils that exceed both 10W-30 multi-grade and SAE 30 straight-grade viscosity requirements for outstanding performance in modern and older diesel engines. Unlike conventional SAE 30 motor oils, AMSOIL Heavy Duty Diesel Oil has a naturally high viscosity index and does not contain paraffin (wax). It has a low pour point and qualifies for SAE 10W, making it an all-season multi-grade lubricant with a wide operating temperature range. 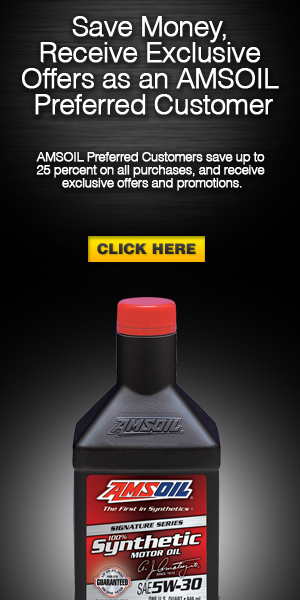 AMSOIL Heavy Duty Diesel Oil is formulated without viscosity index (VI) improvers. This shear-stable formulation is designed to reduce viscosity loss and associated bearing and cylinder bore wear. AMSOIL 10W-30/SAE 30 Synthetic Heavy Duty Diesel Oil contains premium additives with a high 12 TBN to neutralize acids from blow-by, exhaust gas recirculation (EGR) and high-sulfur diesel fuels. It helps protect against damaging piston deposits, ring sticking, and sludge. PerformanceWhere these viscosity grades are specified, AMSOIL 10W-30/SAE 30 Synthetic Diesel Oil provides outstanding performance as a straight-grade SAE 30 for older two- and four-stroke diesel and as a multi-grade SAE 10W-30 in modern four-stroke diesel and gasoline engines. AMSOIL Synthetic Heavy Duty Diesel Oil is ideal for use in a wide variety of light- and heavy-duty applications, including agriculture, off-road construction, trucking, mining, industrial (pumps and generators) and personal automotive or commercial transportation. It is recommended for use with low or high-sulfur diesel fuels in standard, turbocharged or supercharged engines; all off-road engines and pre-2007 on-road engines. When you hit the trail off-road whether in your truck or Jeep. Just like the highway, you do have a few rules to follow. Some rules are written, and some are common sense. These common-sense rules will keep you safe, your family safe and the environment you’re in safe. It’s fun to take your vehicle off-road and push your metal to the limit. This is fun and okay. However, you need to remember some simple do’s and don’ts. 1. Know what’s on the other side of a jump, or mound that you think will get you airborne. You don’t want to be airborne only to find the other side is a hundred-foot cliff. A stand of trees that rip through the vehicle like a hot knife through butter. If you can’t see what’s on the other side don’t just hammer through until you see a clear path. 2. Cutting doughnuts or dropping the hammer throwing dirt everywhere. Imagine what a pristine meadow would look like after you hammer around tearing it up. Just because it's there does not mean you need to tear it up. You can find plenty of places to go throw dirt. Don’t destroy a pristine environment just because you can. 3. Leave animals alone. Don’t chase wildlife with your vehicle, blow your horn or otherwise molest them in any way with your vehicle. Not cool! 4. Respect the trails, don’t blaze off on your own. 5. Remember if you’ve traveled a distance and you do something reckless that hurts your vehicle or you. How close is helping? It’s easy to get caught up in the moment. Remember, you’re not Mario Andretti as much as you want to be him, sorry you’re not. Keep on the side of safety! 6. Before you head out to make sure that your equipment is in tip-top shape. The spare tire is good, tools are present, and first aid is available. 7. Good maps and GPS if available. You can cover a huge distance driving. Having fun you can forget where you are. It’s easier than you might think to get lost. 8. Fuel. Make sure you have spare fuel. Jerry cans and a way to get the fuel into your tank. I can’t tell you how many guys I have seen out four wheeling that the spout on the can won’t fit the gasoline receptacle on the vehicle. Having respect for the outdoors is a responsibility of all off-road enthusiasts. A stewardship that you must respect. Leave the outdoors better than you found them. Take out more than you went with. Off-road 4X4 trekking is fun. It can also end in disaster if you don’t follow common safety rules. Know your vehicles limitations and especially know your driving limitations. Do this and you will have fun and get home safe.